Americas Best Value Inn Riverside, AL is just minutes away from Talladega Super Speedway, Barber Motor Sport Park and Mill Creek Motocross and right on beautiful Logan Martin Lake. Americas Best Value Inn Riverside features 70 guest rooms nicely furnished with amenities that include cable TV, hairdryer, iron and ironing board, coffee maker, and also Hi-Speed Wireless Internet access. Mini-fridge and microwave units are also available. 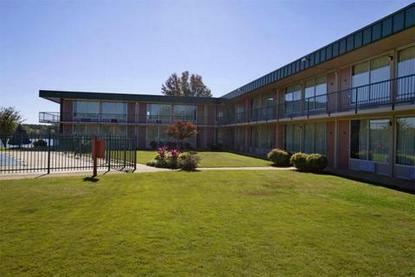 Other property amenities include complimentary enhanced continental breakfast, on-site laundry facility, fax/copy services, vending and ice machines. Order room service from our on-site restaurant or take a relaxing dip in our crystal-clear outdoor swimming pool, or enjoy a barbecue in the picnic area. Come relax and enjoy the BEST hospitality in town at Americas Best Value Inn Riverside. .